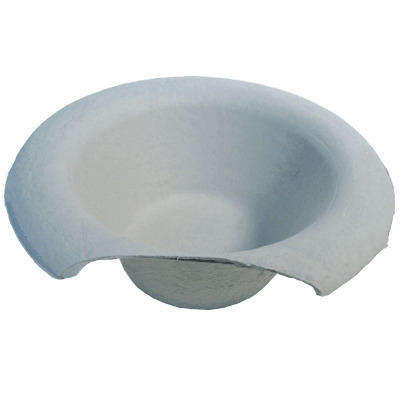 Designed for use with the healthcare industry, our Pulp Disposable Commode Pan is suitable for warmer fluids. It offers a strong construction pair with 100% recyclable design that allows it to be a cost-effective solution. With a large 1.7 litre capacity, it is entirely latex free to reduce the risk of irritation and has been developed for healthcare disposal. The commode pan is able to hold contents for a minimum of 4 hours - the current requirements for professional use. Each pan is for single use, reducing bulk within your storage resources and improving hygiene control in your home.